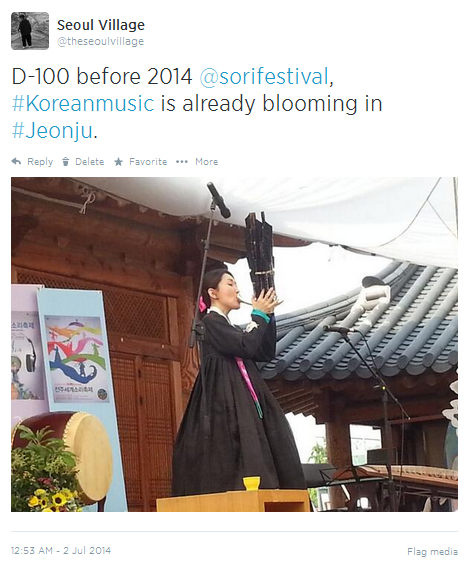 Back to Jeonju's hanok village for the 'soriju' making event, 100 days ahead of the opening ceremony for the 2014 Jeonju International Sori Festival (October 8)! Of course, 'sori' played a central role in an afternoon filled with pungmul, pansori, court music (classic with gayageum, ajaeng, and saenghwang - plus a modern take with piano), and even a contemporary ajaeng-janggu duet. 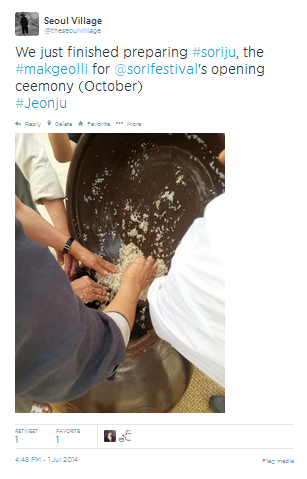 But we were also here to make the 'soriju', the official makgeolli for the opening ceremony, mixing rice with malt and water and sealing the jar with our good luck wishes. And because everything was perfectly organized, we could quench our thirst with the delicious 'soriju' prepared 60 days earlier specially for the occasion! In Korea like in Gaul, a great day ends with a feast and songs. 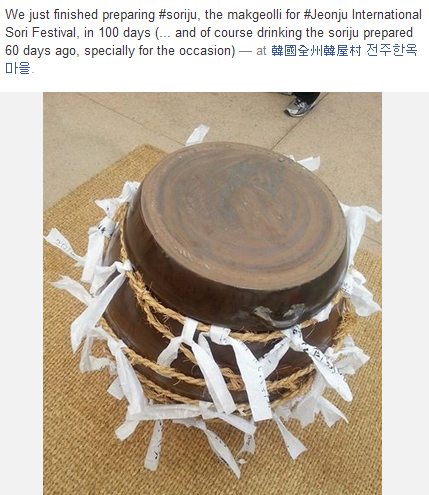 This perfect one* was crowned by a fantastic pansori singer (BANG Sumi, feat. PARK Jechun as her pansori gosu, chopsticks style). A good place, good friends, good food, good music... Total bliss! * started by a victory for France at the World Cup!